All our licenses are including 6 months of free updates, renewable after the 6 months period at 30% discounted price. Currency is USD. 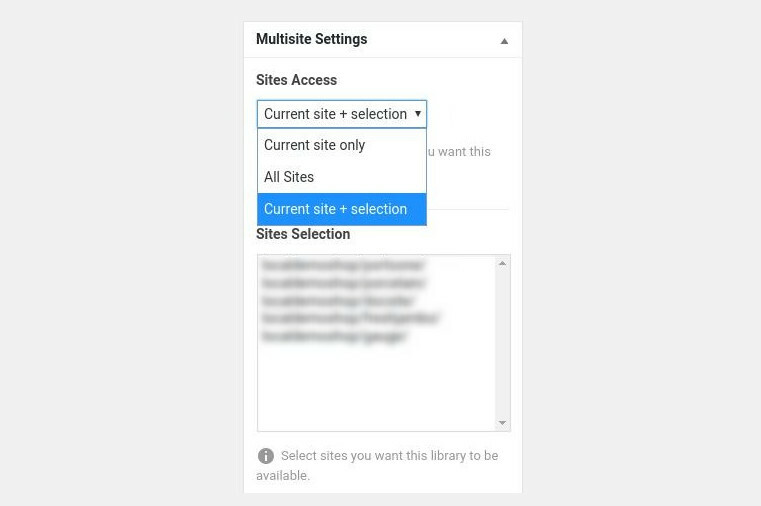 Fix: Copy to local option for divi builder. Tweak: Improve support for latest Gutenberg version. Folder filter was displayed with a too short width. 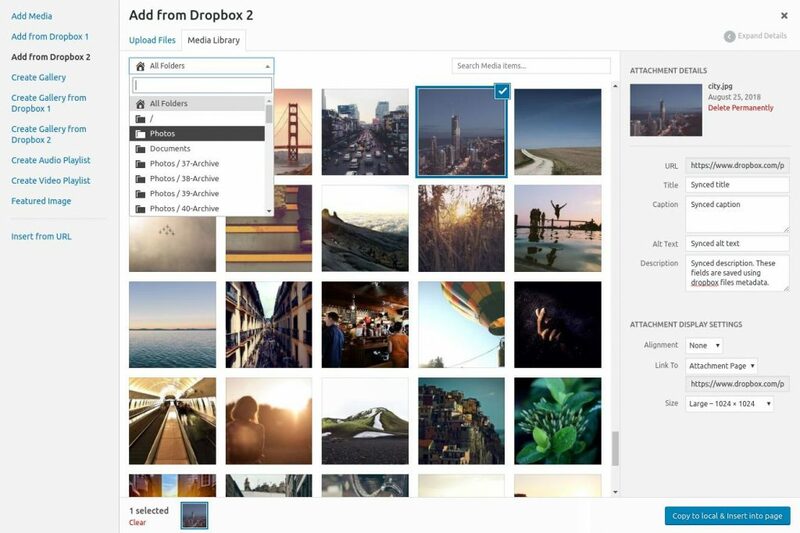 RML for Dropbox gives you access to your Dropbox media items right into the WordPress Media Library. 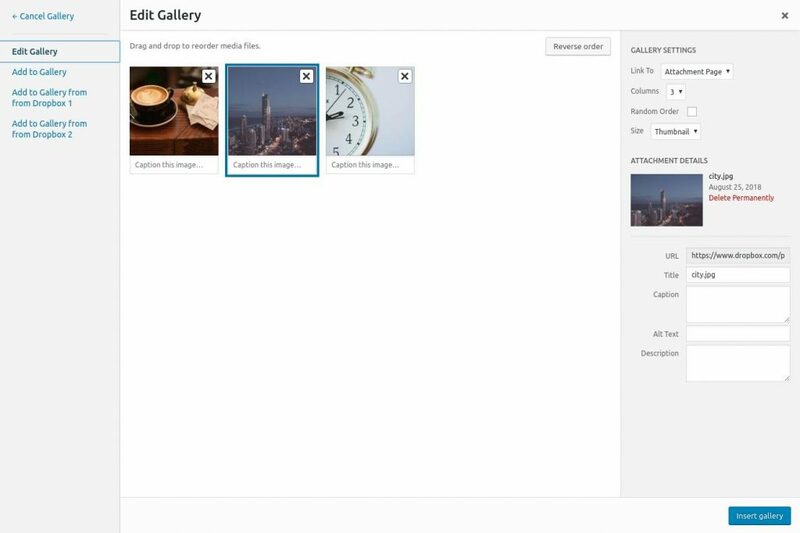 It allows you to quickly browse through all your objects with folder and search filters and then quickly insert them to your posts or pages, use them as feature images or create galleries just as if they were in your local WordPress Media Library. Upon inserting a media from your Dropbox in your posts and pages, the media will be automatically added to your local library if not present already and applied to your post/page. 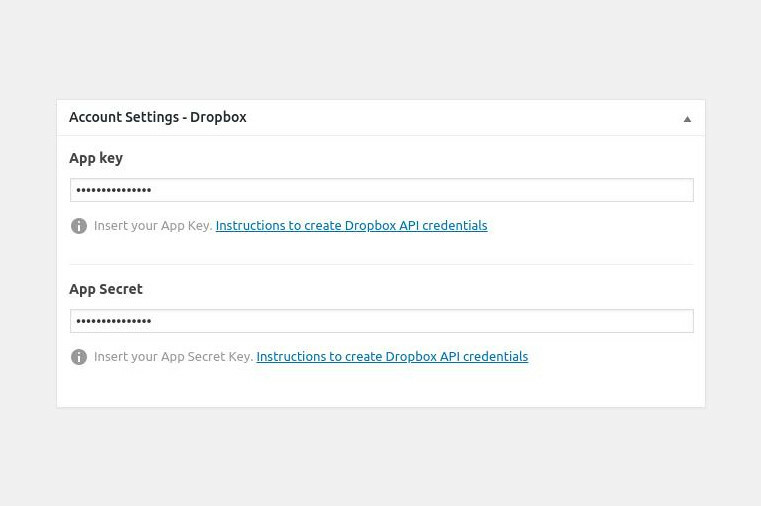 This will not only speed up your workflow, but also enables you to easily access and share the same Dropbox account across multiple sites. All of this professionally made with care for every details. Seriously! 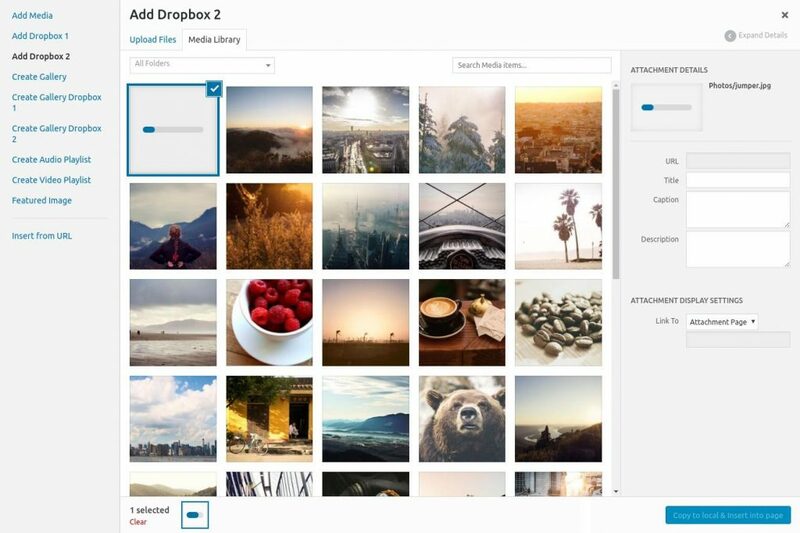 Connect as many dropbox as you want and with as many media files as you want. No limit! 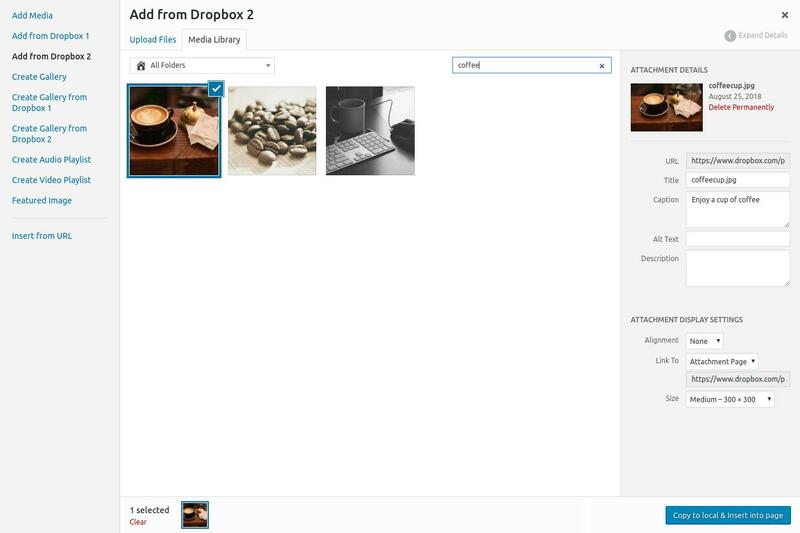 Connect multiple sites to the same dropbox and share media items across them. 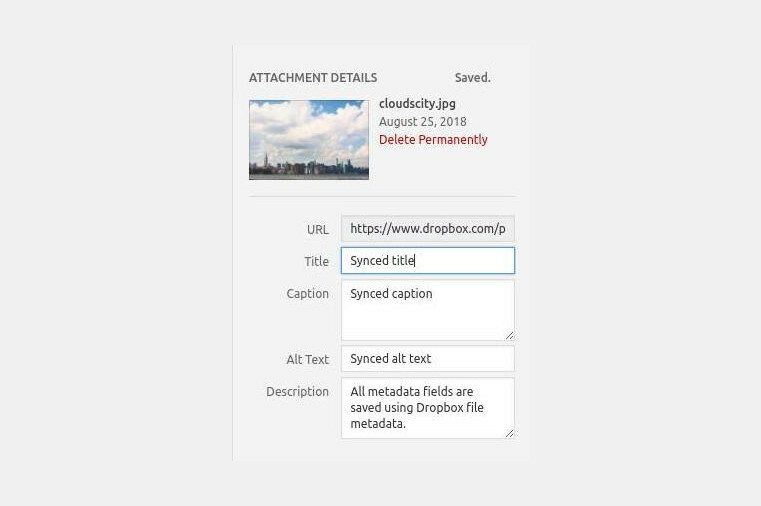 Upload directly to Dropbox right from the media library. Automatically copy media to local library on insert. 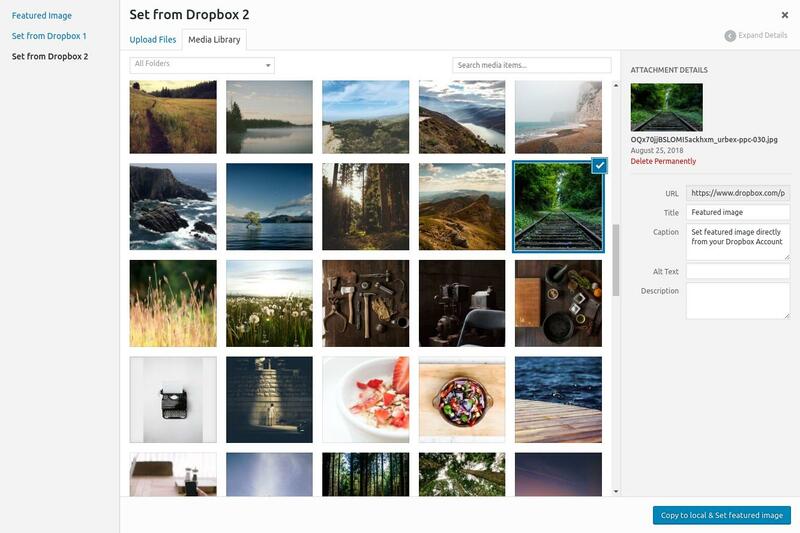 The plugin is carefully developed so that it works out of the box with most themes & plugins. The list of themes and plugins is outstanding out there and occasionally, custom work will be needed to enhance compatibility with some of them. If this turns out to be the case, we are glad to help and make the necessary changes promptly. Here is a quick list of plugins that we worked on and knows that works. Note that if your plugin is not in this list, it might well be compatible, but did not get any report on it yet. Please touch base with us if you have questions regarding compatibility with any plugin or theme you use. We continuously work to make your Dropbox content easily available for any wordpress sites. We are continuously improving the plugin based on customers feedback. You have a feature in mind that would serve you well? Let us know about it!